One of the most common questions that I am asked about cake making and cake decorating is "Why do my cupcake cases peel?" Make sure you fill your cupcakes with enough mixture. A flat topped cupcake is usually only filled half way up. You will get used to your oven and how far your cakes rise as different ovens will produce different results. Keep an eye on the heights the first few times you bake and if they are a bit low, slightly increase the amount of mixture you put in the cupcake cases. Top Tip – use an ice cream scoop ​of around 4.7cm diameter ​to fill your cases. 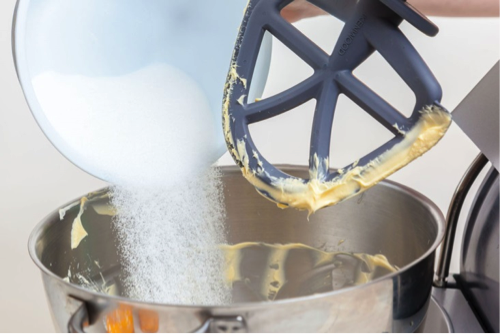 When making your cupcakes, make sure you beat the butter and sugar on its own before you add any other ingredients. In fact, we usually beat the butter alone and then add the sugar and beat again. This makes the butter very soft and the combined butter and sugar very fluffy. We have found this consistently helps with peeling cupcake cases. 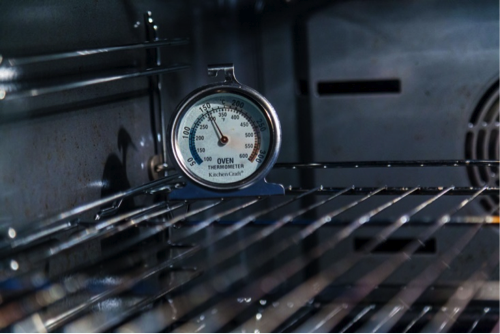 Most domestic ovens are not 100 per cent accurate in their temperature recording so make sure you use an oven thermometer to test your oven temperature. This is a small shelf thermometer that sits on the oven shelf and reads the temperature inside the oven. 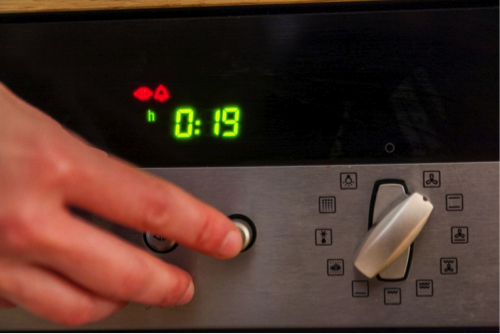 You may be surprised to see that this often varies dramatically from what the dial on the outside of the oven says! You can buy these in most shops for £5 ($5). Tip #4: Don't undercook your cupcakes. 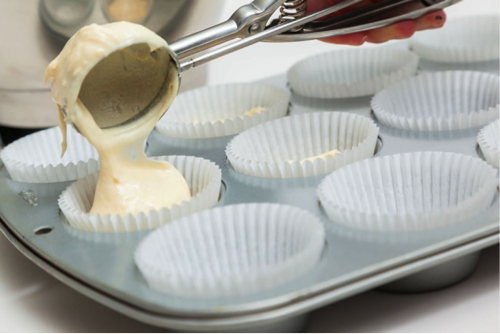 Tip #5: Leave the cupcakes in the baking tray for a short period. When the cupcakes come out of the oven, don't leave them cooling in the tray for too long. This will build up steam around the side of the cupcake cases which can then cause the cupcake case to peel away. Take the cakes out as soon as you can pick them up and let them cool on a baking tray. Tip #6: Avoid tupperware at all costs! There is no place in a cupcake kitchen for a plastic container! 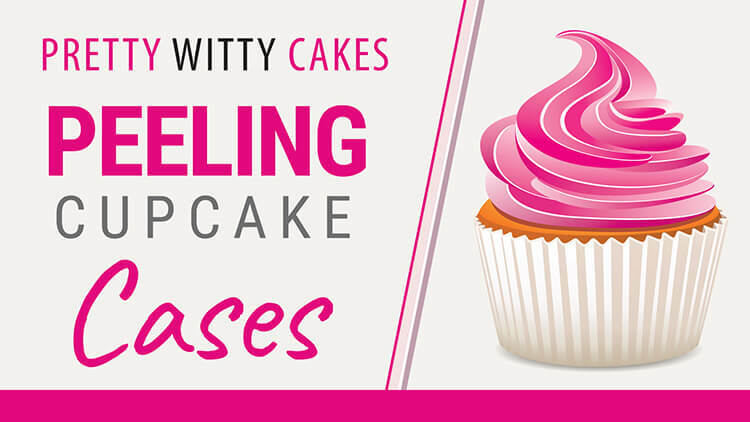 If you store a finished cupcake in an airtight plastic tub, the case will almost always peel. Instead put your finished cupcakes in a cardboard cake box (the same one you are using to give them away would be fine). There is no need to keep a cupcake in the fridge. This will cause it to dry out. It is best to store them (once iced) in a cool room or a cupboard in a card box. The best boxes to use are cake or cupcakes boxes which are not 100% air tight. Cupcake boxes with holes are best as they help the case stay in position. You can freeze cupcakes pre icing them with buttercream. If you do this, always make a few extra cakes as the defrosting process can sometimes cause a wrapper to come away. Tip #9: Can you repair a peeling case? If a cupcake case only peels slightly, you can fix this by "sticking" it together when you flat ice the cupcake. Be careful with the pressure when you do this as too much pressure on your palette knife will cause the cake case to peel away. To watch Suzi demonstrate how to flat ice a cupcakes, see this free tutorial HERE.